The 2018 FIFA World Cup Russia will go down in history as one of the most entertaining World Cups, as this soccer celebration was right up there in terms of drama and memorable moments. No matter the venue, the number of goals scored or the nerveracking shoot-outs, a World Cup always leaves behind enduring memories. We were treated to many stunning moments at the 2018 FIFA World Cup Russia that was held from 14th June to 15th July. Here are the highlights of this very special World Cup. This 2018 FIFA World Cup Russia offered fans wave upon wave of blood-pumping, seemingly impossible goals, with only a single scoreless game in the entire tournament leading into the fi nal. Goals are hard to come by in the World Cup finals. In fact, there have been just six goals in the past four World Cup finals. But all this went out the window in Russia this time. France has been tough to break down when in front, but a wonderful goal from Ivan Perišić of Croatia and then a controversial penalty awarded to Antoine Griezmann of France opened the game up before half-time. England’s Jordan Pickford became an unanticipated star in the match against Colombia when he sailed through the air to save against Colombia’s Mateus Uribe in extra time, holding on to England’s lead for just a few more moments before defender Yerry Mina equalised the game. There needs to be a mention of Russia’s defeat of Spain (the 2010 World Cup champion) in an incredible shootout. When Spanish forward Iago Aspas took the last of his team’s penalty kicks, Russia’s goalkeeper Igor Akinfeev managed to deflect the ball with his foot and eliminated the Spanish team in the Round of 16. Germany became the third-straight reigning champion to crash out of the 2018 FIFA World Cup Russia at the group stage. It made one of the biggest headlines during the tournament, with everyone speculating on how the German football coach Joachim Löw’s starstudded side could fail so epically. Argentina’s performance was also woeful throughout as Jorge Sampaoli more or less surrendered control of the team to the players as they first scraped by Nigeria in their final group stage game before losing 4-3 in a thriller against France in the Round of 16. Portugal also departed in the last 16, thus depriving us of seeing Cristiano Ronaldo in the latter stages of the tournament. 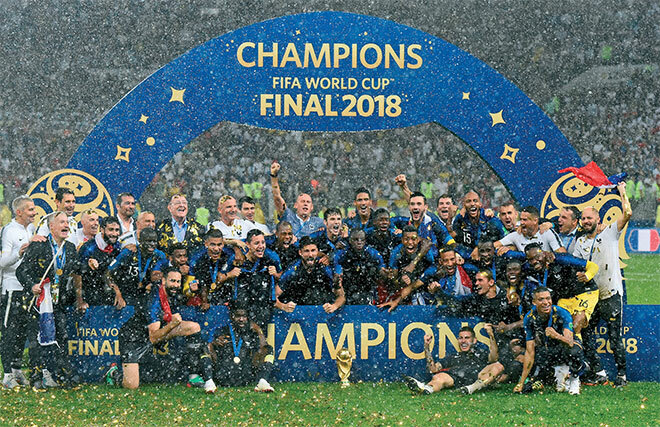 France put up an exciting show in winning the World Cup title this year. Kylian Mbappé, 19, became the young star of the tournament when he helped France beat Croatia 4-2. What is more, he has already achieved something that Lionel Messi and Cristiano Ronaldo have not—a World Cup victory. 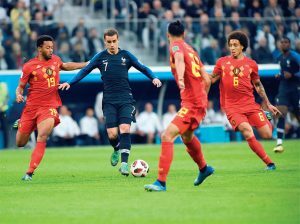 There was plenty more to like about the French team this time around as young defenders Raphael Varane and Samuel Umtiti were sublime at centre-back positions while Benjamin Pavard and Lucas Hernández excelled after being thrown in at the deep end. 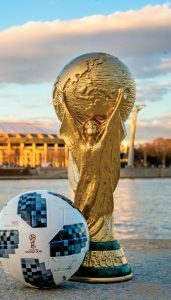 The 2018 FIFA World Cup Russia promised little but delivered much more than any World Cup before it. We are sure that it will be missed and looked back upon by fans across the world with reverence and affection.